Make the most of our industry links to get an inside-out understanding of product design. "In my second year I was able to do a work experience placement at Superdry. It was a fantastic opportunity as I was there during 'line pick week' - this is when the Chief Executive chooses designs for the following year. I'm now in my 'industry year', so I am spending part of my time working for D14, a design consultancy that was created by students in the year above me. We work on live projects, for real clients. The rest of my time I am working for Hurricane, a packaging design company based in Cheltenham. Through these placements I have developed an understanding of the skills I need for future work opportunities." Unique opportunities to put your skills into practice. Our students work on â? ?live projects.â?? Past clients include Superdry and IT Schools Africa. At our Repair Cafés, students fix broken items; not only do they develop their skills, they also keep items out of landfill. Internationally-renowned model-maker Tom Hill is part of our teaching team. Tom worked on the Star Wars and Judge Dredd films. Inspiring spaces to design. Practical places to create. Develop your talents in our unique learning environment which combines regency buildings with modern work spaces. Plan and design your wok in our dedicated studios and computer labs, where software includes Adobe CC and Solidworks. Bring your ideas to life in our modern workshop, where you will find industrial power tools, laser cutters, 3D printers and CNC equipment. "I have worked in industry as a project leader, have a doctorate in design and have been an entrepreneur for 10 years. I am dedicated to giving my students real-life experiences to create a design portfolio enabling them to become successful in the direction that they feel passionate about. For example, my first year students are designing a classroom for the British charity 'IT Schools Africa'. Superdry have also recently set my students a design project to gain an invaluable insight in branding and people's lifestyle choices. Imagine writing that on your CV after your first year in university." At the Green Gown Awards 2017, Michelle was Highly Commended for her teaching. Meet student, Tom, winner of the 2018 New Designers Allermuir Associate Prize. Take our business profile quiz to discover your business profile! Focus will be on aesthetics, form and branding to visualise and develop a product idea. You'll utilise a range of graphic skills, design techniques and digital technologies, turning ideas into visual forms. You'll also learn about design history and culture as well as marketing, management and user interaction design. You will gain essential skills in iterative prototyping, fundamentals of technology, aesthetics, sustainable design and commercial awareness. You'll have the opportunity to work for a year on a paid placement that counts as part of your studies with previous students working with companies such as Superdry and IT Schools Africa, designing classrooms in Malawi. The course has been designed to enable membership with the Institution of Engineering and Technology (IET) and the Institution of Engineering Designers (IED). Get Product Design course updates and hear more about studying with us. You'll be assessed by coursework including portfolios of design work, product development, reporting and documentation, presentations and exhibitions. This will take place in our dedicated studios, computer labs and workshop area. 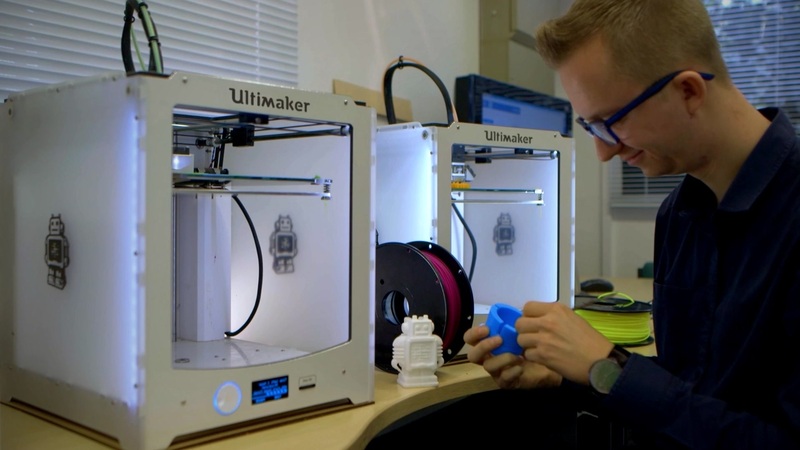 You will get to grips with equipment such as laser cutters, 3D printers and CNC equipment as well as using software like Adobe CC and Solidworks. Our students also get to exhibit their work twice a year, giving practitioners the opportunity to talent scout soon-to-be graduates. Students exhibit and sell their work annually to gain commercial and entrepreneurial experience. You will also have the opportunity to work on live projects as well as completing work experience. As well as working with Superdry and IT Schools Africa, our students have gained valuable insight from guest lecturers such as Patrick Jordan, Business Psychologist for clients such as Apple Computers, Ferrari and EA Sports. There's also the opportunity to get involved with the prestigious Cheltenham Design Festival and the Repair Café. International Students: Please see the full details of entry requirements in your country. If you do not meet the academic and English language requirements, you should consider a preparation course at INTO University of Gloucestershire, which will help to prepare you for study on this degree. 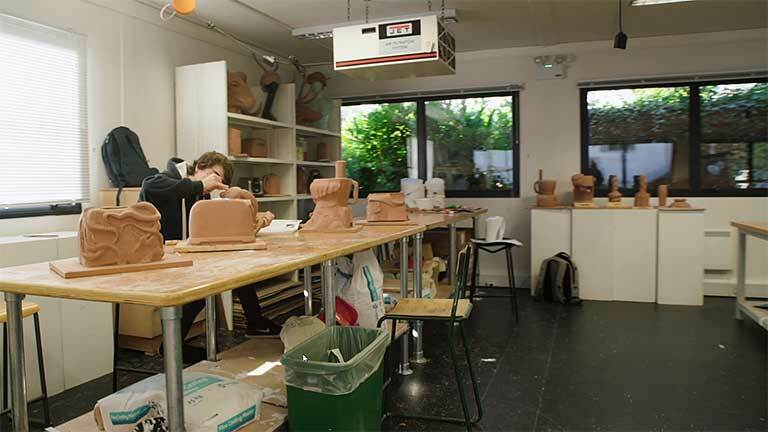 INTO University of Gloucestershire is based at our Park campus and offers a range of courses including International Foundation Art, Design and Media, International Year One Art, Design and Media and Undergraduate Degree with International Foundation. Fill in the form below and we'll be in touch with Product Design updates, upcoming events and everything you need to know about university life.